Most recipes for CCC are basically the same, especially if you eliminate the ones that use shortening or margarine, which as you know, I always do. If you’re not going to use butter (and the highest quality butter you can find) I need to convince you to do so. That being said, I’m going to tell you the four secrets of knock-your-socks-off CCC. Like many other interesting things in life, raising something above the level of adequate requires altering the temp, chemistry and consistency as you move through the process, and a v. simple process it is. 1. Mix butter and sugar on high for 4 minutes. It becomes the most satisfying light colored fluffy mix. 2. Toast the pecans. I do this in my toaster over on the small tray on a light toast–straight from the freeze. This is huge. 3. Really good chocolate (this goes back to my use the best ingredients credo, but I’m repeating it. Currently, I’m using a brand of chocolate bar called Theo (made in Seattle). It’s really, really good and I like having the thin, irregular chunks. Chocolate chips, at this point, seem like spam. 4. 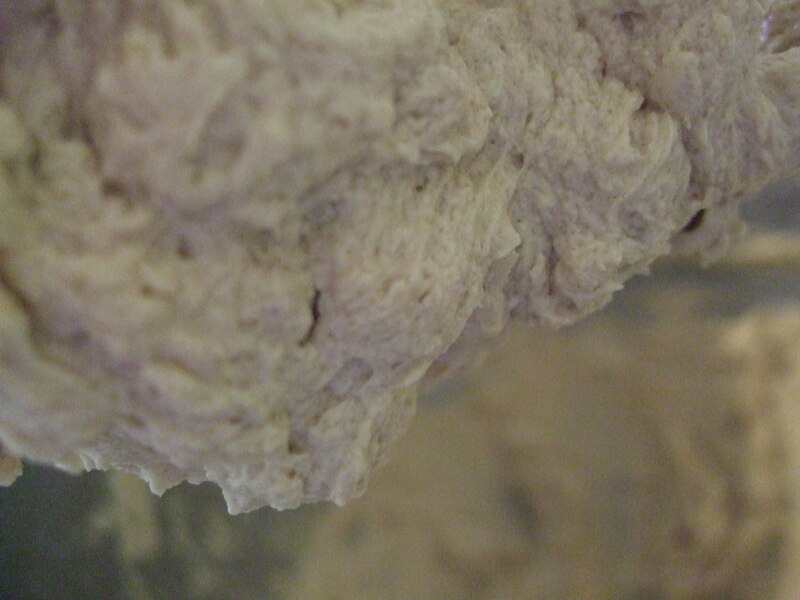 Put the batter into the fridge for 36 hours before baking. (I haven’t done this yet, but I usually wait a day). I refer you to the NYTimes article on this subject. They also have a thing about cookie size, which I am currently disregarding (but haven’t yet tried). The reason to do this is that the butter gets hard before it goes into the open so it cooks before it has time to spread. Thus, these cookies are thicker but still soft. Eureka! So… here’s the actual recipe. I mix things in the following order which both expedites the process and mixes the flour the least possible amount. 1/2 cup butter into the bowl of a Kitchen Aid, if you don’t have one, I reluctantly offer an electric mixer instead. Add 3/4 of a cup of sugar, I do equal parts brown and white. Mix this for 4 or 5 minutes. It alters into the lightest butter/sugar mixture ever. It’s v. soft. 1 egg and 1/2 teaspoon vanilla. Mix ‘er up again. Scrape down sides, mix again. 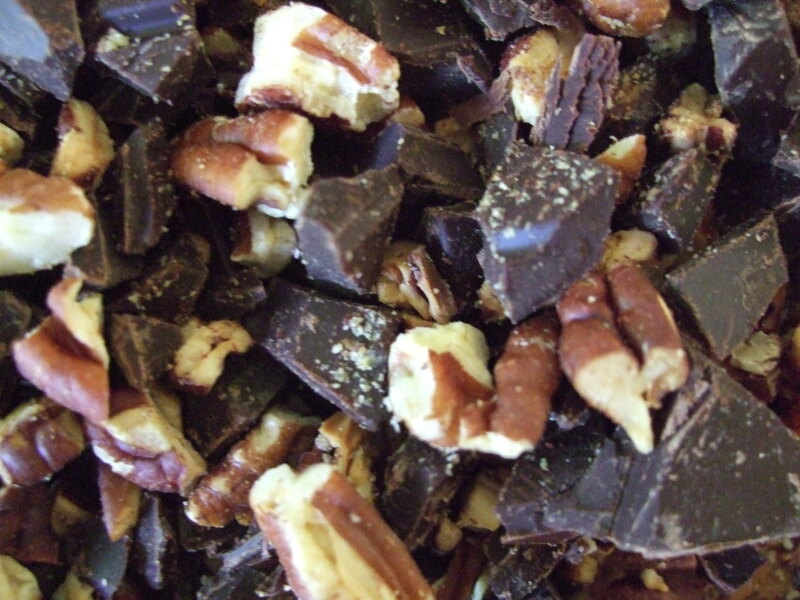 Add 1/2 cup toasted pecans (give or take) and 1 cup chopped up chocolate. Mix just a little more. Taste with spoon. Feel v. happy. Put in fridge for 24-36 hours. I made about 12 cookies from this but you could fewer bigger ones. Preheat oven to 375 and cook 8-10 minutes. 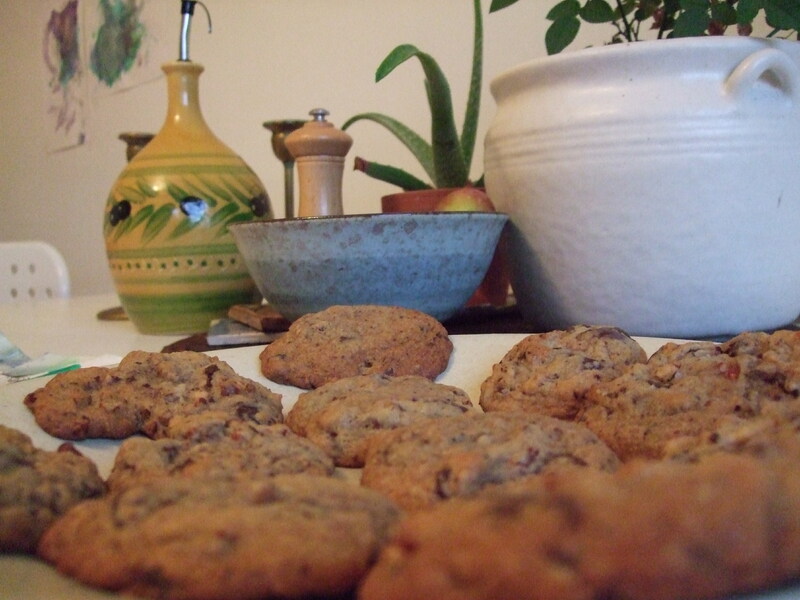 Notice that the cooked cookies aren’t quite as good as the raw batter. Think this over. Taste cookies the next day. Realize they are now as good as the cookie dough. Marvel at this. People love to talk about how difficult it is to make mashed potatoes. How hard it is to get them smooth, and creamy. The techniques. The equipment. The agony. And to those “people” I pose this question. Why not make mashed potatoes that don’t have the consistency of baby food, but are recognizable to sight and taste as actual potatoes? So I offer up this simple and wonderful versions of mashed Ps. Wash as many potatoes as you have lying around. Slice about 1/4 of an inch thick. Pour in about 1/2 cup of cream or milk. Throw a pat of butter in. Turn on heat, bring to a boil, turn down to a simmer and put lid on for appox. 30 minutes. At some point, check to make sure there is still liquid in there and give the Ps a little stir. Add liquid as needed (they have to cook in something). After about 30 minutes, they will be soft enough to mush up a bit. Mush/stir to desired texture. Add more butter and salt and pepper if desired and voila! Yes, I leave the skins on, because I like even more texture but you could peel the potatoes if you enjoy doing extranious tedious work. You can also easily pick the skins out as you eat. You should cut the eyes out of the Ps if you have them. Eyes are what they call the little sprouts that grow out of old Ps. And wash them well. I know I don’t need to tell you to buy organic, as Ps, grown directly in the soil, retain a lot of pesticides. Why don’t I have a picture of these deliciousiosities? Good idea–next time. These reheat beautifully. Put a little butter in a pan and fry em up. Kids like them. M eats them directly with her hands.